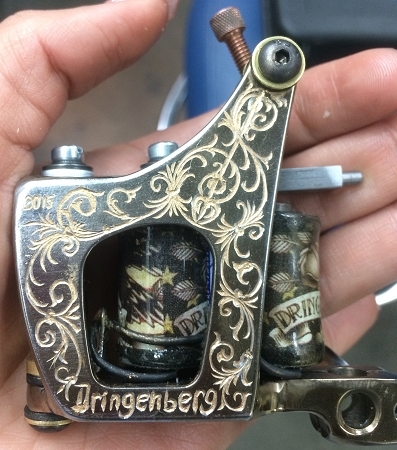 Hand engraved by Dan Dringenberg - Jensen SpecialMachine. Please be aware that our machines are custom made in our shop. Turnaround time is 3-8 weeks on machines. 6-12 weeks on engraved machines.